The Village Farmers’ Market in Traverse City Michigan has a lot to offer, from kale to quail’s eggs you are bound to find something delicious to cook with. By far the star of the market (at least in my opinion) is the fresh-caught lake trout and whitefish available from Treaty Fish Co. The fish is incredibly fresh. Always caught the day before the market, the fish is packed on ice and even sent home with you in an ice filled bag. It makes for some of the best tasting fish you will ever eat. The star of this recipe is truly the ingredients (of which there are few). It can be made using store-bought fish and buttermilk, but for it to be truly outstanding, getting the best quality ingredients you can is always key. Most chefs will tell you this about any recipe, but it is particularly true in this case. The buttermilk I use also comes from the Traverse City Winter Farmers Market. It is from Shetler Dairy. But any thick, non-homogonized buttermilk will serve. The paprika and parsley I grew and dried myself. The paprika is not like the typical flavorless red dots you buy in the store. It lends a lot of flavor to the recipe. Using a good quality Hungarian paprika will work, as it has stronger flavor than the typical store-bought variety. 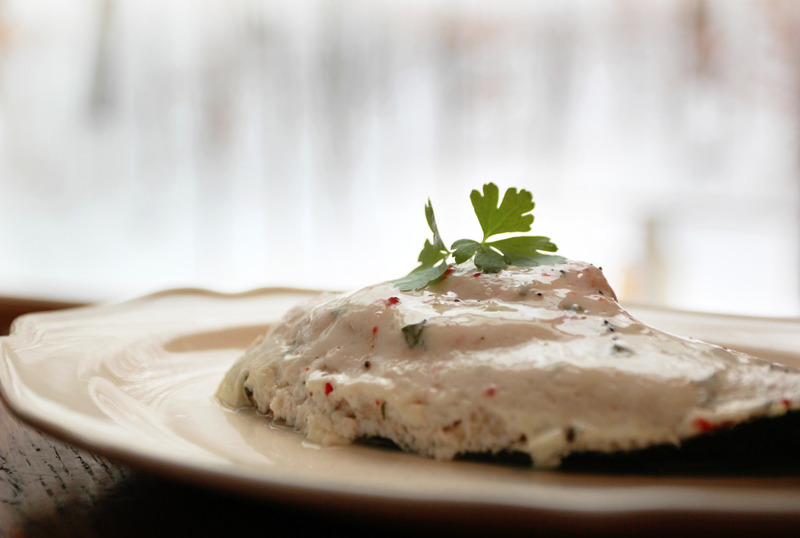 The buttermilk brings out the flavor of the fish, keeps it moist, and adds a lemony tang. It is utterly delicious. I have never had a more flavorful, buttery textured fish in all my life. Enjoy. Preheat oven to 350 degrees. 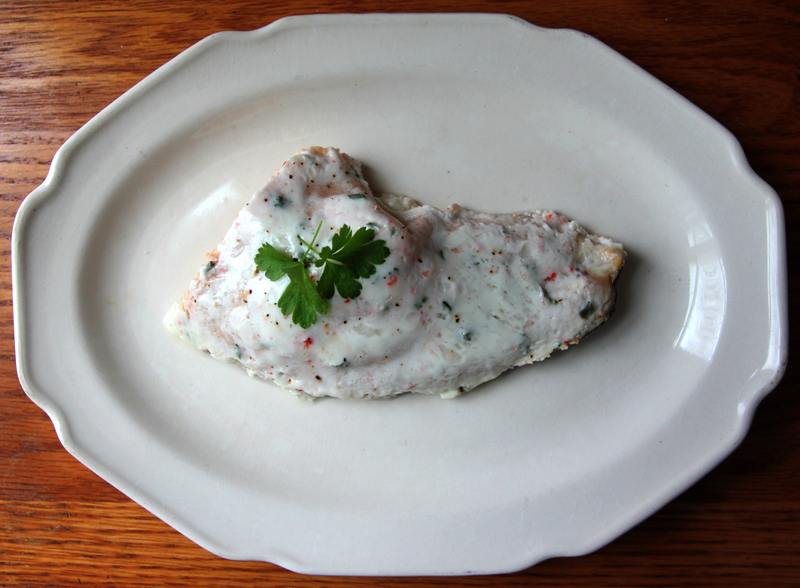 In a glass baking dish lay out fillet with skin side down. Sprinkle with parsley, paprika, salt and pepper. Rub in gently. If the butter milk is not thick (a runny yogurt consistency) beat it until it thickens a bit. Smoothly pour the buttermilk over the fish, being sure to coat every inch of exposed flesh. It is fine if it runs over the edge . Bake at 350 for 30 minutes or until fish is cooked through but still moist.